NextCasino is a very stylish online casino full of amazing games, massive bonuses, rewarding promos and features an excellent customer service as well as a great range of payment methods to choose from. The NextCasino site features slick neon-style graphics and a razor-sharp design. This casino is all about style and sophistication and features a smart looking logo displaying 3 playing cards all showing the same suit. It is eye-catching and ties in perfectly with the professional look of the casino. 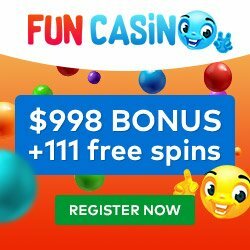 When you visit the site, you will notice a top toolbar where you can create an account and a side toolbar which conveniently breaks down the casino into smaller sections including Games, Chat, Exclusive club, and Promotions. This makes the casino really easy to navigate and it works like a charm on desktop, mobile, and tablet devices. 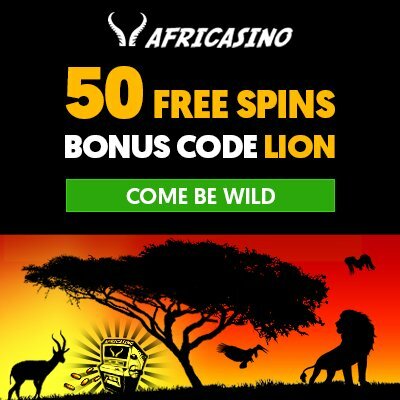 NextCasino opened up for business back in 2013 and is a brand owned by Minotauro Media and hosted by top software provider Aspire Global International. To ensure the site is trustworthy and treats all players fairly, it is licensed and regulated by the Malta Gaming Authority and by the UK Gambling Commission. The choice of games to choose from at this casino is absolutely fantastic as NextCasino offers hundreds of amazing games which can be played on all manner of devices from computers, tablets, to mobile phones. There is no need to download any applications to run the games on the site as NextCasino is an instant-play casino. Gambling responsibly is of great importance to this casino and this is why NextCasino offers a wide range of options to ensure players game responsibly while on the site. These measures include cooling-off periods, setting your own deposit limits, and players can also avail of a self-exclusion option should they wish to take a break from the casino. Creating a NextCasino account is a hassle-free process and just involves filling out a few details which take no longer than a couple of minutes to complete. You need to be over 18 years of age to join this casino and players should note that this casino cannot be accessed in some countries. This casino can be displayed in English, Finnish, German, Norwegian, and Swedish. The games on the site are nicely varied and consist of the hottest new releases, classics such as Gonzo’s Quest and Starburst, as well as hefty jackpot slots featuring prizes that can reach hundreds of thousands. Top software developers such as Microgaming. NetEnt, NextGen Gaming, Play’n GO, and iSoftBet supply the games on the site. Finding a game to play at this casino is a piece of cake as all of the games are cleverly arranged into different categories to make things that bit easier. Categories include Featured Games, New, Video Slots, Classic, Casino Games, Scratch Cards, and All Games. A pleasing feature of this casino is that you can try most games for free by clicking on the Demo button while hovering over a game title. This is a great way of testing a game and seeing how it plays without having to spend a single penny. For players who prefer a more land-based casino experience then check out the Live Casino at NextCasino. Here, you can play exciting live versions of classic casino table games such as Blackjack, Baccarat, and Roulette. Each game is beamed live from a real casino studio and hosted by a very friendly live dealer. NextCasino runs an exclusive VIP club which rewards players the more they play and also hosts special monthly promotions giving you the chance to claim extra spins, bonuses, as well as win top raffle prizes. You can deposit and withdraw funds using a wide range of fast and secure payment methods available on the site. For example, you can pay using Wire Transfer, Visa, MasterCard, as well as e-wallet options such as Zimpler, Trustly, and Skrill. The minimum you can deposit is £$€10 and the maximum you can withdraw in a month is £$€7,000. The processing time depends on the payment method selected but is usually instant in most cases. It is also worth highlighting that NextCasino accepts the following currencies on the site: GBP, USD, CAD, EUR, KR, AUD, and CNY. You can contact the support team via email, live chat, or by phone. The team are polite, very professional, and address issues very quickly. Support is available every single day and there is also a comprehensive FAQ page on the site which should appeal to players who like to go looking for solutions themselves before reaching out to the team. This casino is expertly designed and offers a truly remarkable online casino experience. If you are looking for the best gaming action around and unbelievable bonuses to match it, then be sure to make NextCasino your next home!